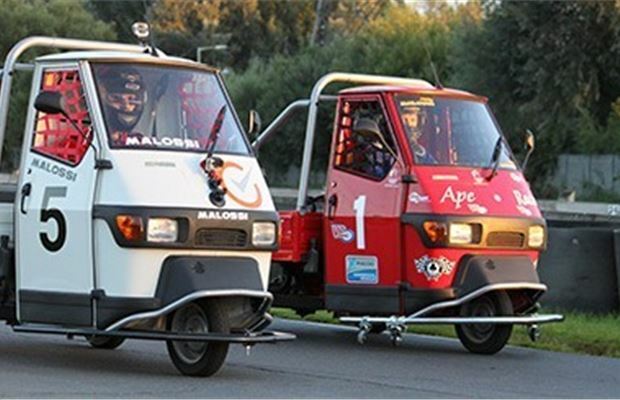 You might have no idea what a Piaggio Ape is, or that you can race one, but what you should know is that this experience guarantees close racing, excitement and plenty of laughs. 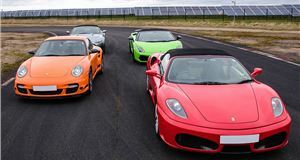 Your £150 entitles you and a friend to a two-hour experience comprising of 20 minutes practice to determine grid positions, followed by a 40-minute race. You decide your driver change strategy and at the end, the top three teams walk away with a trophy. Sounds much like a regular karting experience, doesn’t it? But the twist here is the vehicles themselves. 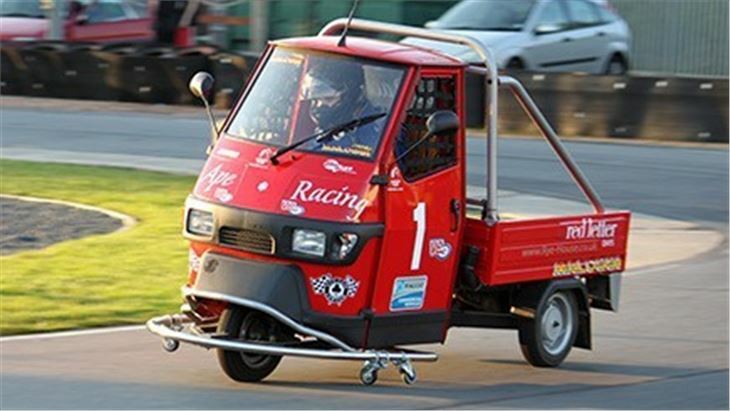 If you’re not familiar with it, the Piaggio Ape is essentially an Italian Reliant Robin rendered in portrait view; two wheels at the back, one wheel at the front, moped-style handlebars to steer and a moped engine to power it. Not only does this experience give you the buzz of competition, but it also allows you to race in a team with your friend built into the price. Get enough mates together and you can have a whole chaotic race to yourselves. The races even begin with a classic Le Mans start, where the first driver in each team stands on the opposite side of the track to their vehicle and then has to sprint to it before climbing aboard and setting off – expect at least one person to fall over and everyone to look hilariously out of their depth. A further bonus is that the entrance requirements are generous. 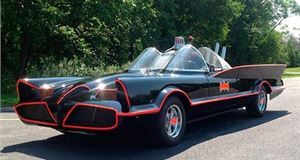 You don’t need a driving licence or motorcycle licence, you only need to be 16-years-old to take part and the height range is as broad as it gets with the two extremities being 4ft 6in and 6ft 6in. 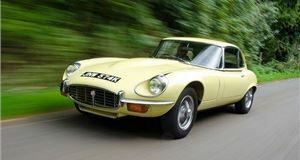 The maximum weight is 18 stone, and because of the racing element, anyone with a back or neck complaint cannot take part, nor pregnant women. Helmets and race suits are provided, and you can have an unlimited number of spectators on hand to watch your glorious victory or miserable failure. As much as karting is a lot of fun, most people have done it several times and there’s not a lot to choose between one circuit and another. 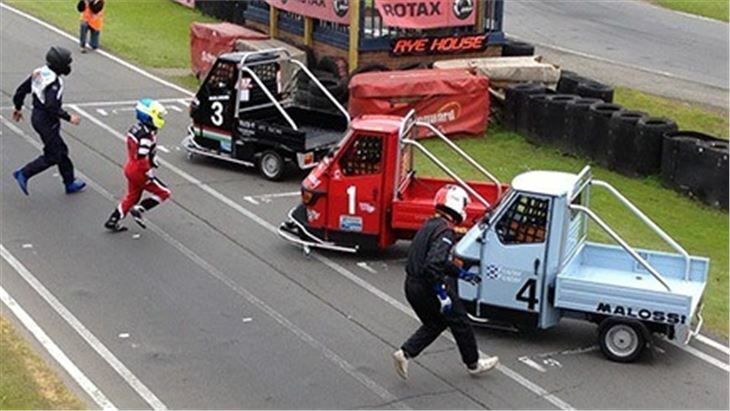 The Piaggio Ape Racing experience brings all the fun of the close competition and camaraderie of dicing with your friends on track but adds in the hilarity of using the most unlikely racing machines ever created and the level playing field that comes with it. 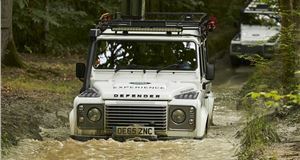 Whether you’re looking for something for you and a friend or a racing experience for a stag or hen party, this should deliver a large slice of fun, thrills ... and laughter.